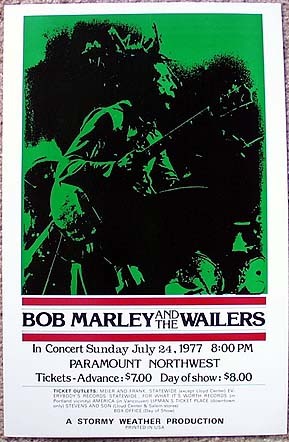 BOB MARLEY AND THE WAILERS - Rare Concert Posters of the 60's and 70's - PosterGeist! 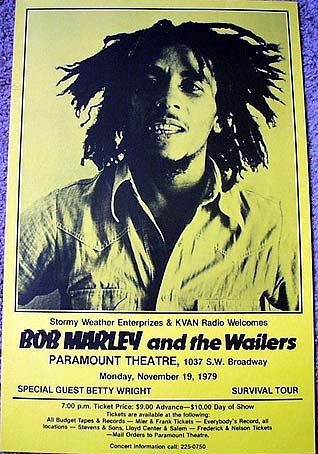 BOB MARLEY AND THE WAILERS Mon November 19, 1979 at the Paramount Theatre in Portland, Oregon - First and Only printing concert poster (Fully Guaranteed! 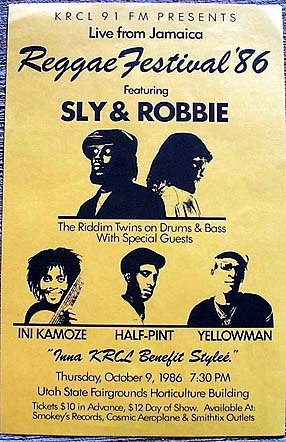 A hand signed Certificate of Authenticity & Provenance is included) - 19 15 / 16" x 12 31 / 32" - Black on thick yellow card like stock - Features shirt pockets on up front on photo of Bob with Dreadlocks - Minor corner ding, etc. - Ultra Mega Rare - Pristine B+ shape! - SPECIAL 2018 WINTER SOLSTICE SALE PRICE: $1.750.00 plus Registered Insured Mail Delivery / Packing cost - This reduced price is available through December 31, 2018 or until it is SOLD OUT. 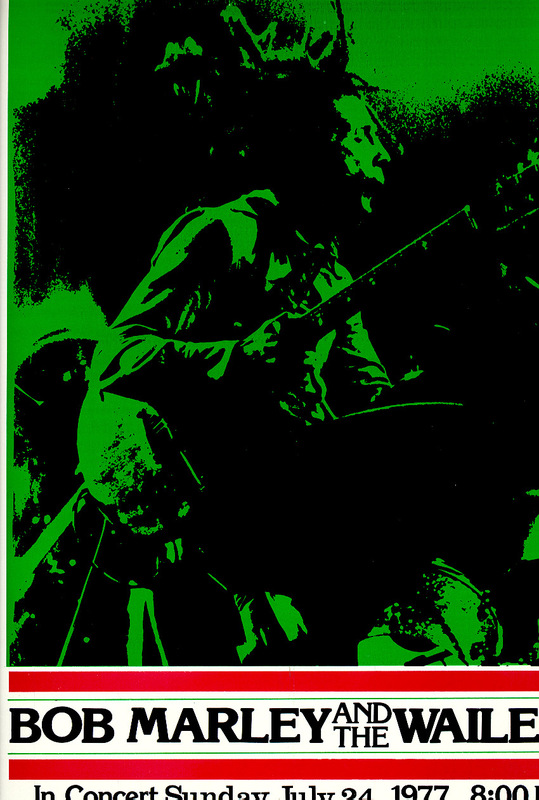 Poster Scan posted below: (Poster background is solid yellow....this is a bad digital photo taken with too much sunlight).